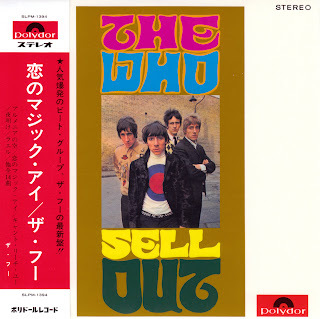 The Who Sell Out was originally released as Track 612 002 (mono), 613002 (stereo) on December 15th, 1967. It reached #13 in the U.K. Released in the U.S. as Decca DL 4950 (mono), DL 74950 (stereo), it reached #48. 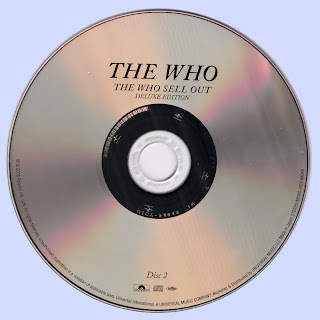 [The concept for The Who Sell Out came from Pete and Who manager Chris Stamp. 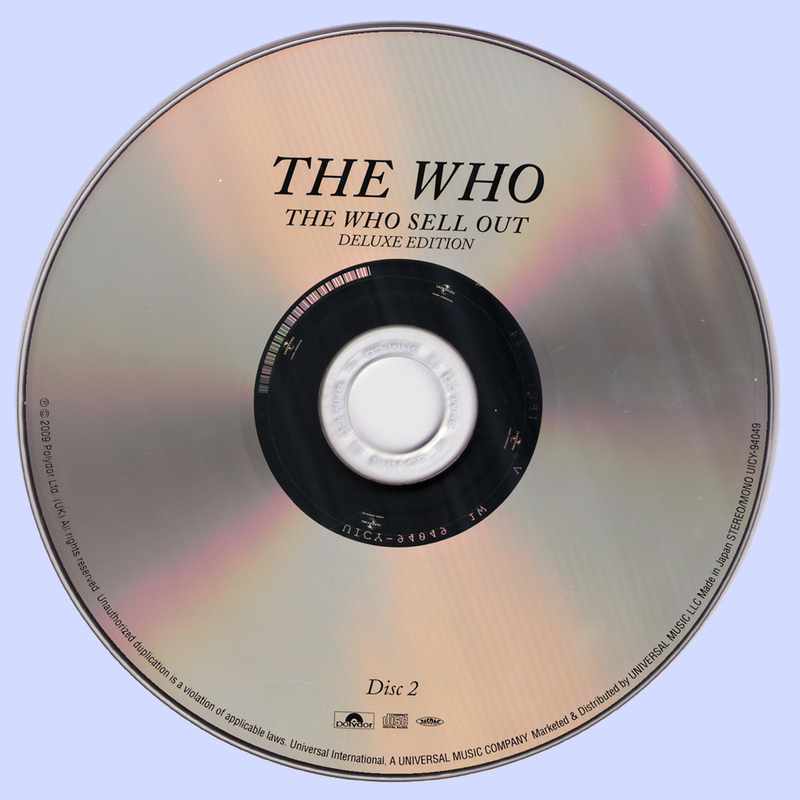 Stamp tried to interest advertisers in paying for the adverts inserted by The Who on the record but, with only 50,000 copies of the album expected to be printed, none of the companies would buy. The U.S. LP hit the Billboard charts on January 6th. It was undoubtedly released prior to that date, maybe as early as the last week of December 1967. The stereo mix was completed at De Lane Lea Studios, London, on October 30. The mono master was completed at the same studio November 2nd. The mono "Our Love Was" track has a different guitar part from the stereo and features a "flanging" effect throughout. "Odorono" lost its guitar part, "Mary Anne With The Shaky Hand," "Tattoo" and "Relax" have slightly different mixes and the bass was more prominent throughout. This mix was released on SHM-CD in Japan in 2009. 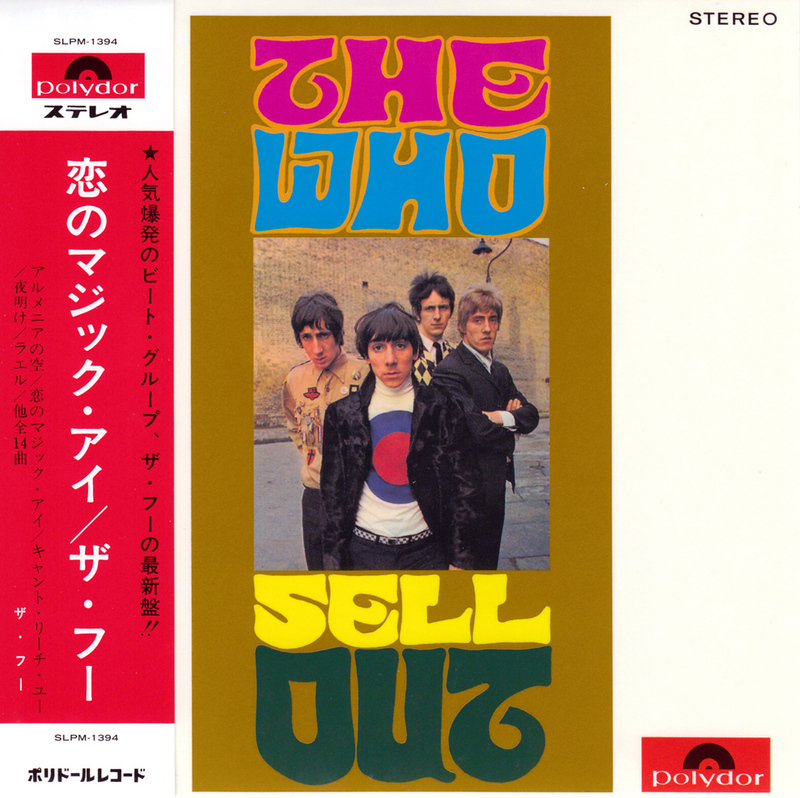 The Who Sell Out is the third album by the English rock band The Who, released in 1967. It is a concept album, formatted as a collection of unrelated songs interspersed with faux commercials and public service announcements. The album purports to be a broadcast by pirate radio station Radio London (Radio London being a famed "pirate" radio station of the era - so called because it literally transmitted from a ship floating in international waters to get around broadcasting restrictions!). 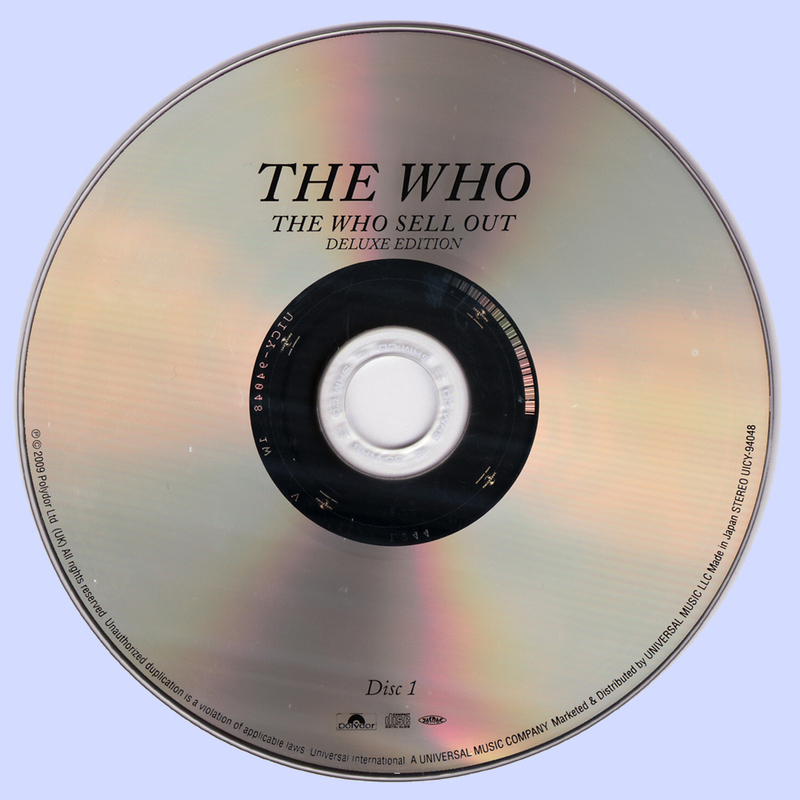 Part of the intended irony of the title was that The Who were actually making commercials during that period of their career, some of which are included as bonus tracks on the remastered CD. 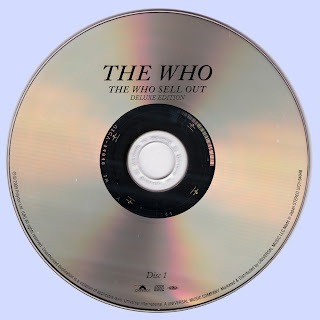 The album's release was reportedly followed by a bevy of lawsuits due to the mention of real-world commercial interests in the faux commercials and on the album covers, and by the makers of the real jingles (Radio London jingles), who claimed The Who used them without permission. (The jingles were produced by PAMS Productions of Dallas, Texas, which created thousands of station ID jingles in the 1960s and 1970s.) In 2003, the album was ranked number 113 on Rolling Stone magazine's list of the 500 greatest albums of all time. All songs by Pete Townshend excpet where noted. *Keith Moon - Drums, Backing Vocals, Percussion, Lead Vocals On "Jaguar" And "Girl's Eyes"
*John Keen - Lead Vocals (Shared With Daltrey) On "Armenia City In The Sky"
You have got me breathless, Marios!! the only words that I can say to you is Thank you very very much! !Wonderful editions from a imprescindible group. I'll keep following your wonderful work. Great!! Thanks a ton, you're great.